Founded in Switzerland 10 years ago, Arta Film visited Rojava a while ago to produce a film about Kurdish women. “On the footsteps of Teyar”, about to be completed, has been written and directed by Xemgin Salih. The film's assistant director is Axin Kensena, while the other members of the film crew are Cliff Deger, camera, Martina Kris, sound, Abdülrahman Ali, production and Re-Cola Rice leading the crew. 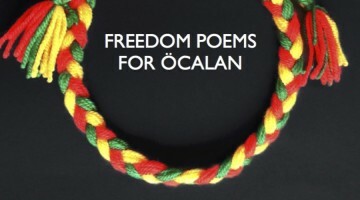 The cast includes actors from Rojava: the well known Bavê Teyar, Cuma Mihemed Cafer and actors from Martyr Osman Culture and Arts group like Berivan Oso and Hejar Hejar. 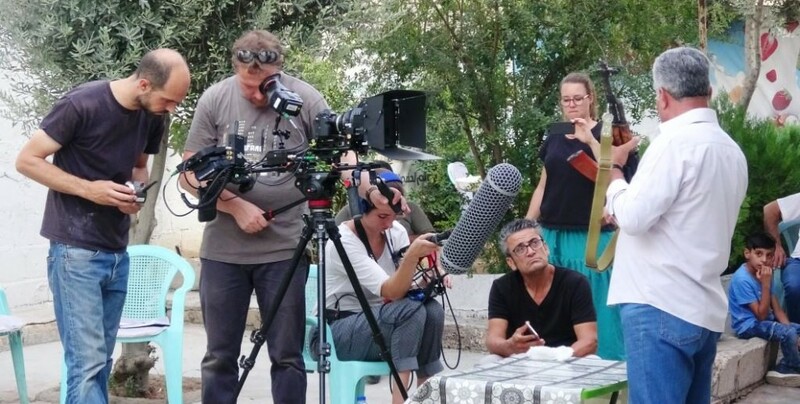 Addressing several issues, the film, as the producers said, has been filmed in Rojava, South Kurdistan, Istanbul, Greece, the United Kingdom and Switzerland. 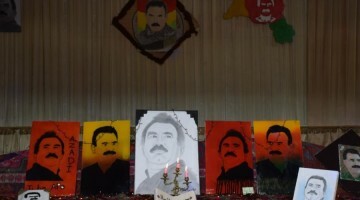 In Rojava the set was also in Cuma Mihemed’s own house in the neighborhood of Enteriyê in Qamishlo. Cuma Mihemed gives life to the character of father of 15 daughters and a boy, Bavê Teyar (Father of Teyar). 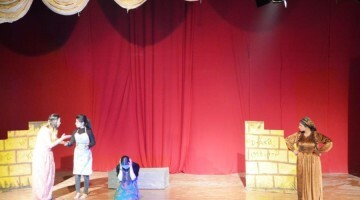 The plot of the film shows Teyar, who cannot resist the pressure in the house, going to Europe. His father leaves his 15 daughters and sets off for Europe to find his son. 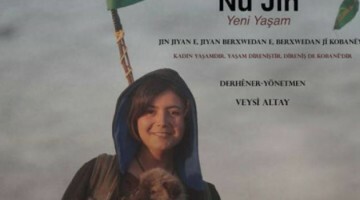 Having learned of the martyrdom of her daughter who had joined the YPJ, shortly after reaching Europe, Bavê Teyar, returns to his country with his son. The film talks of the legendary leadership of the women in the revolution, their command on the war fronts, the sacrifice of women struggling to protect the values ​​of women's liberation, and their resistance to oppression. The film also tells of young people who have left their countries and migrated to Europe. ‘We want to send 4 messages with this film’, director Xemgin Salih told ANHA. “First we wanted to show the way in which young people live abroad, the way of their return, the dialogue between fathers and daughters and the abandonment of the country by men”. Salih said the film will be screened in all parts of Kurdistan, and that the actors represent a part of Kurdistan. 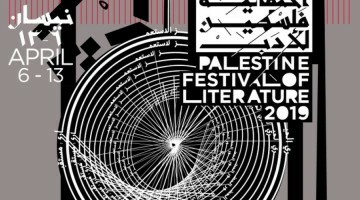 Salih said the film will be submitted at international festivals. 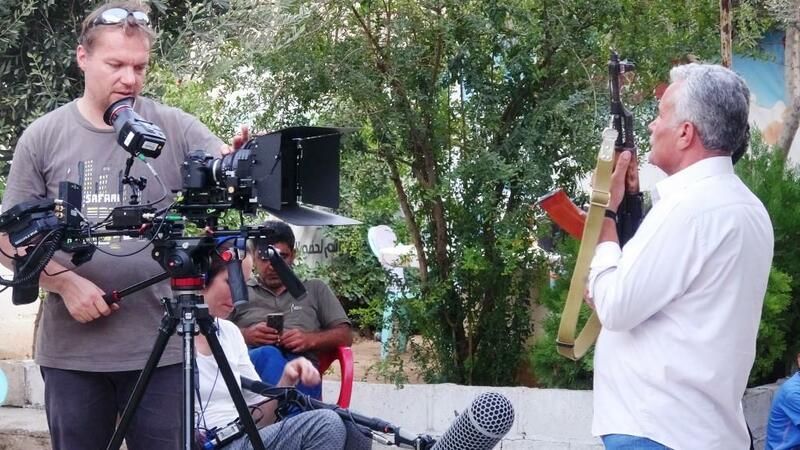 Known as Bavê Teyar in all Kurdistan, Cuma Mihemed said that he has been involved in such a production for the first time, despite his many films and writing, and that he is making all necessary effort for the success of the film. 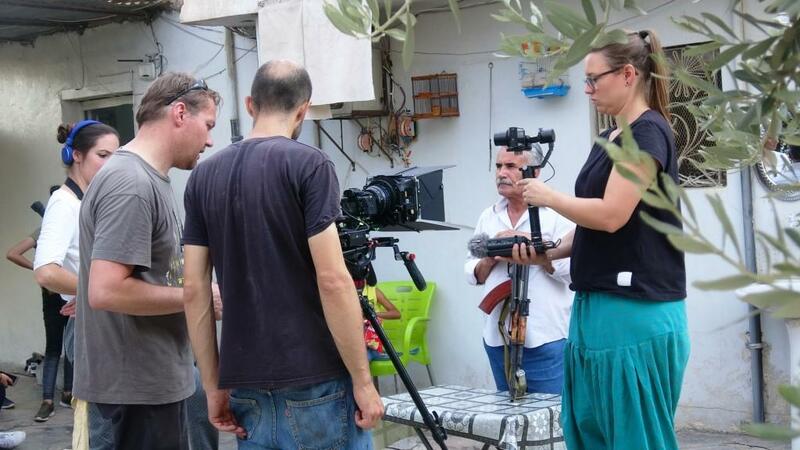 Swiss Arta Film is preparing to shoot another film dealing with Rojava.